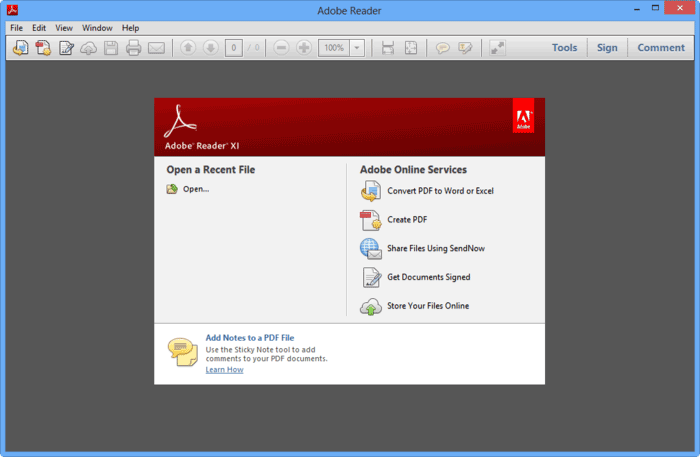 Wondering how to edit a PDF file for free? It can be easy to find PDF programs on the Internet, but it is often difficult to edit PDF content for free. It is only through the use of professional PDF tools that you are able to edit most elements of a PDF file, like rearranging PDF content for example. 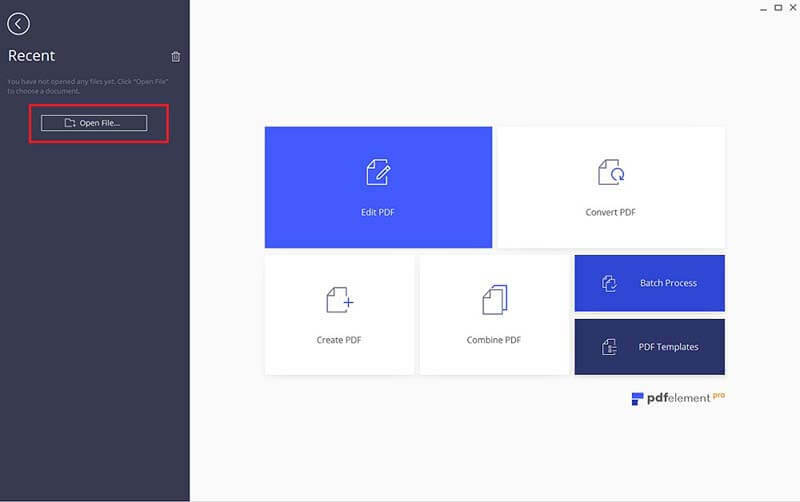 We're going to introduce you to a useful tool - PDFelement - which will help you to edit PDF files as easily as you would a word document. We'll also focus on some other solutions to help you edit PDF free and easily. Open the PDF you want to edit for free. You can do this through multiple methods. You can just drag and drop it into the program, you can click on the "Open File..." button, or you can choose the document in the "Open Recent Files" list. You can also select the "File" > "Open" to open your document. Go to the "Edit" tab and you'll find there are multiple options to edit your PDF document. You can edit text by clicking the "Edit" button, and then choosing "Line Mode" or "Paragraph Mode" to recognize the text content. You can also edit the font size and color of the text. Discover the amazing editing features for yourself. If you want to learn more, visit how to edit PDF text. 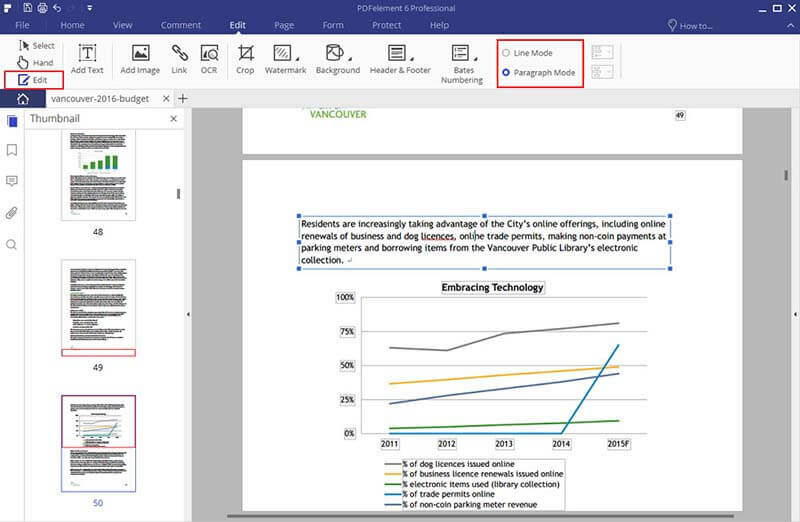 PDFelement not only allows you to edit PDF text as easily as a word document, but it also allows you to edit images and other items like word. Using the "Edit" button, click the image or item, you will get more options on the right-side panel to rotate, clip, flip and align, etc. Learn more detailed steps about how to edit PDF image. 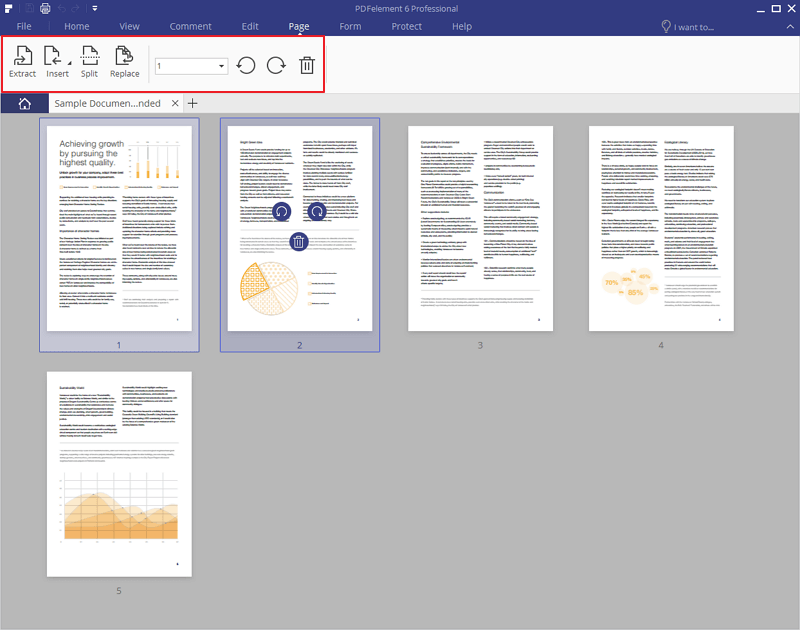 To organize PDF pages, you need to click on the "Page" menu. There are many options, such as insert pages, delete pages, crop pages, crop pages, split pages, extract pages, and rotate pages. You can manage PDFs any way you'd like. If you just need to make minor changes to a PDF file, the list of free online PDF Editors below might just do the trick. If you'd rather not take a security risk by uploading your file to the internet so you can edit it with a free PDF Editor online or better manage PDF pages, try the full-featured desktop PDF editor – PDFelement. It offers a free trial with full features including the OCR, edit, convert, create, and print functions. 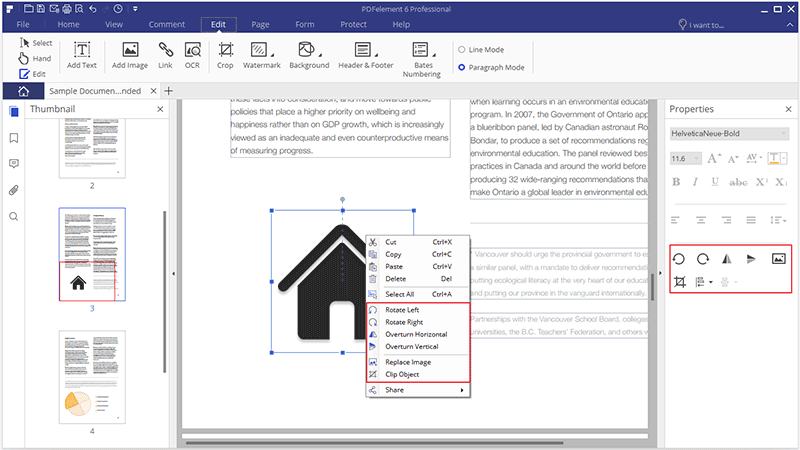 Edit PDF text and images, as well as add annotation. You can also manage PDF pages. Protect PDF documents with passwords, permission restrictions, redaction, digital signatures, and more. Some online PDF tools are useful when you just want to insert text and images to a PDF file. PDFescape is an example. 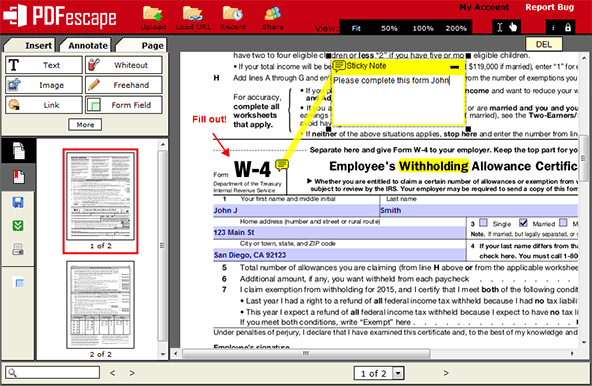 By uploading your PDF file to it, you are able to insert text and images, letting you edit PDF online free. However, the drawback is that you cannot delete text (correct typos) or images. It also lets users hide sensitive info by applying the whiteout tool. Another free way to edit PDF files is by using Google Docs. 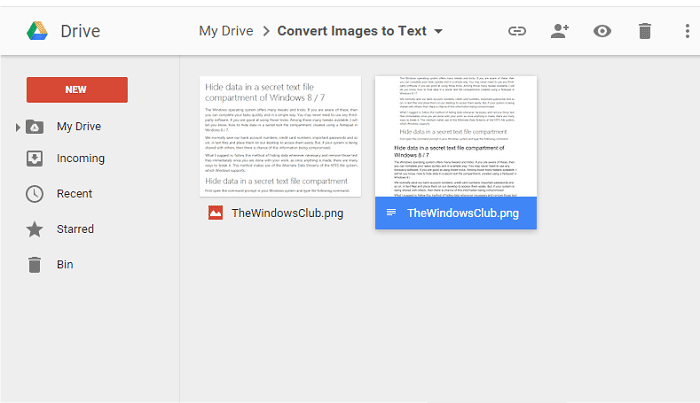 Whether you have an image-based or native PDF file, you can upload it to Google Docs. Open it as a Google Document to edit. Insert, revise, or delete text. This makes the ability to edit PDF files free. After editing the PDF file, go to "File" > "Download As" >"PDF". This tool is so easy to use. When editing a PDF file with Google Docs, it feels like you're editing text in a Word processor. The only downside is that after downloading your last PDF file, all the original images sometimes get lost. Sometimes you need to collaborate with a team to edit PDF documents. In this case, you might need to add comments on a PDF file or markup text. When doing this task, Adobe® Reader is a good choice. For the most part, it's free to do a PDF edit as well. In the toolbar, you'll find comment tools like the sticky note and highlight text tools. Select the tool you'd like to use, then click on the PDF file to add the sticky note or highlight text. It is so easy! However, Adobe Acrobat XI and Adobe Reader XI have now ended their support. This means there'll be no more security updates from Adobe, and your PDF file and data security could be compromised. For this reason, when you are researching how to edit a PDF it may be better to consider the best alternatives to Adobe Acrobat.